When a person with special needs finds themselves lost or disorientated, often they are unable to communicate their problem to the people around them. 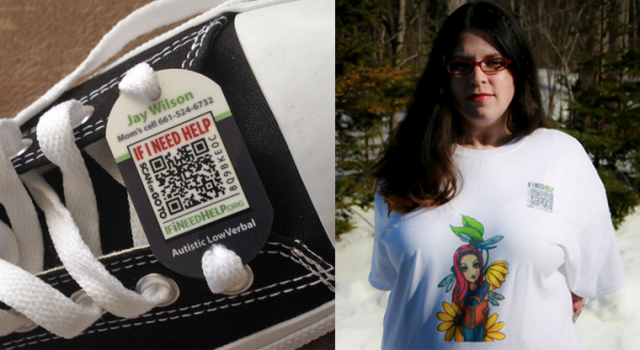 If I Need Help is a non-profit organization that creates wearable products with QR code ID patches that let the public know that the wearer might need assistance. Caregivers begin by creating an account and inputting relevant information, including the wearer’s name and address, emergency contact details and other information such as medical conditions or what can be done to calm them down. They can then choose from a range of garments and accessories: there are patches, iD tags, t-shirts and hoodies which can be ordered from the site. 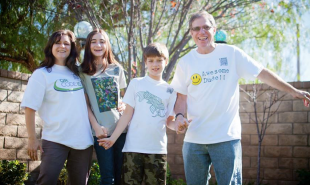 Some of the products feature designs created by members with special needs and customers can even create their own t-shirts for USD 16. The advantage over simply sticking a label with contact information on an item of clothing is that the information accessed via the QR code can be altered anytime via the If I Need Help site. We have seen QR codes used as identification before: Hefei City in China issued QR code badges to elderly people, enabling passersby to help them back to their home if they get lost. If I Need Help’s range has the benefit of being integrated into the wearers clothing, meaning it is unlikely to be lost or forgotten. Is there potential for a collaboration with a clothing company to expand the product range further?